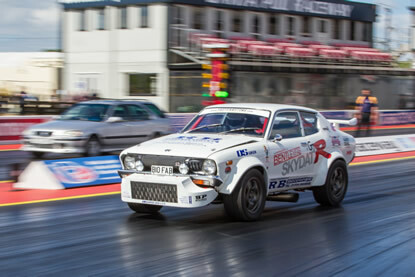 The most famous quarter-mile of tarmac in Europe is calling you. Ever fancied yourself as a racer? Do you know how quick your car is? 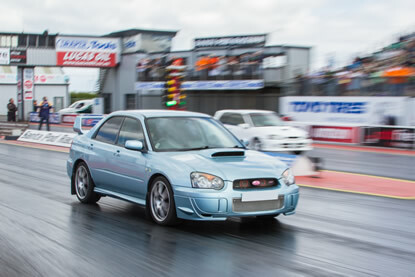 Japshow is the ideal place to see what you and your car can do and it doesn't cost a fortune either! RWYB costs £20 for 4 runs on Sunday and £25 for unlimited runs on Saturday. We recommend you sign-on early to avoid disappointment – there are hundreds of people already addicted to RWYB! Track is open from 9.30am-5pm Saturday and Sunday, track opening and competition times are subject to weather and track conditions. Most importantly you must remember to bring your driving licence if you want to use the track! Run What Ya Brung will be open to all makes of car and bike on Saturday and Jap cars and bikes only on Sunday. 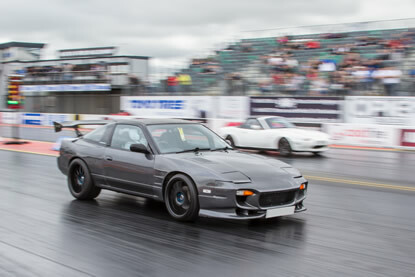 Only runs from Sunday (until 4pm) are logged and entered into the Run What Ya Brung Competition, and trophies are awarded to the fastest car in each manufacturer-based class at 5pm on Sunday. Stick around if you think you are topping the class, and see the leader board at the sign-on office for updates. The RWYB classes A to G are for Jap cars only, Class X is for non road legal Jap cars plus Jap engined cars (e.g. Honda-powered atoms, Subaru-powered Beetles, Suzuki-powered Caterham 7's), and Jap bodied cars with alternate engines (e.g. Datsun 280Z with V8). The RWYB Competition will end at 4pm or an hour before racing ends if we’re behind schedule. Listen out to the commentary team for announcements. It is your responsibility to ensure you’re running in the correct class, anyone running in the wrong class will be disqualified and no disputes will be entered into. If you suspect there is a mistake when the class winners are announced, you will have 30 minutes from the first announcement to lodge a protest. 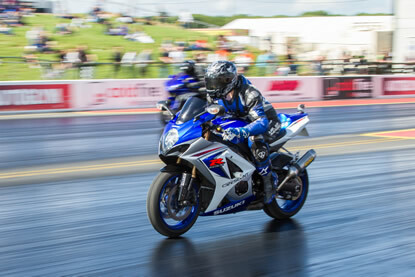 RWYB stands for “Run What Ya Brung” and refers to public test days when Santa Pod is open to anyone with a driving licence to run their car or motorcycle down the track. RWYB is as simple or scientific as you want it to be, and you can use these days either to just have fun with your friends or as serious test days, whether your vehicle is for road or track. Your mission is to accelerate from a standing start and cover the 1/4 mile in the shortest possible time. A full performance printout after each run will show your reaction time, speed, and elapsed time as well as a host of incremental measurements. What Do I Need To Have A Go? A vehicle (vehicles must be safe and run at the race director's discretion). A driving licence suitable for the type of vehicle you are driving. A crash helmet for open top vehicles and those going over 110mph at the finish line. Arm straps required in open-top vehicles. Bikers need suitable protective clothing and approved helmet. Visit the Signing On Office located at the base of the control tower near the startline on foot. You will need your driving licence and signing on fee (cash or card). You'll be asked to fill in a form. Check your vehicle is well maintained and safe. Tyres, oil, steering, coolant and brakes are important. Also check your tyres and arches are not muddy. Move your Vehicle to the back of the queue in the "fire up road". Bikers can usually push past to the separate queue for bikes. When you are called forward by the marshal, close your windows and sunroof fully, and buckle your seatbelt. Bikers should pull down visors or goggles. Please DO NOT activate liquid spray-bars. If you wish, attempt a burnout in the water under the tower. This will clean and warm your tyres. 4WD cars will not burnout unless equipped to do so. Roll forward to the Start Line when the marshal indicates. The start line is not actually marked on the track (because it would get scrubbed out very quickly), but the best way to spot it is to look for a gap in the red boarder next to the track. The first pair of lights on the "starting tree" marked Pre Staged will light when you are nearly in position. Roll a few inches further forward and the next pair of lights marked Staged will light also. When you and your opponent are both staged and the track is clear, the three orange bulbs will light and then the Green. Now is the time to go! Accelerate as hard as you can without spinning the wheels too much. The last timing beam is under the gantry exactly 1/4 of a mile from the start line. Slow down gently once you have crossed the finish, and keep going until you reach the first Turn Off Point on the left. Check your mirrors for your opponent before turning off and heading back on yourself. Drive slowly and carefully once you have left the track. You can collect Timing Slips from the signing on office at the startline tower. These are free to collect as soon as your run is complete. If in doubt at any point, simply look to the marshals for direction. Please do not smoke or use mobile phones when on the track. An advanced RWYB guide, including startline procedure and tips for a good run can be found on the official RWYB website along with a full calendar of all upcoming RWYB days, at www.RWYB.com. Santa Pod Raceway has joined up with 1320go to provide live timing data online and to your phone. Details on the Phone App page.